The High-Flying A11 modules are design for high performance applications normally, using 802.11b/g/n, Ethernet, and local serial ports. The A11 is available in two formats – SMT (surface mount) and DIP (2x7pins). 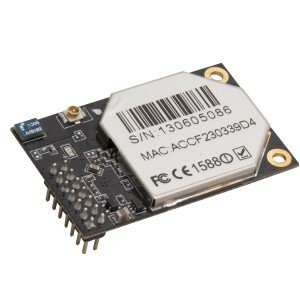 A11 integrates an Ethernet and Wireless MAC, a baseband processor, a RF transceiver along with a power amplifier. The on-board software includes a complete Wi-Fi protocol, configuration utility and networking stack. 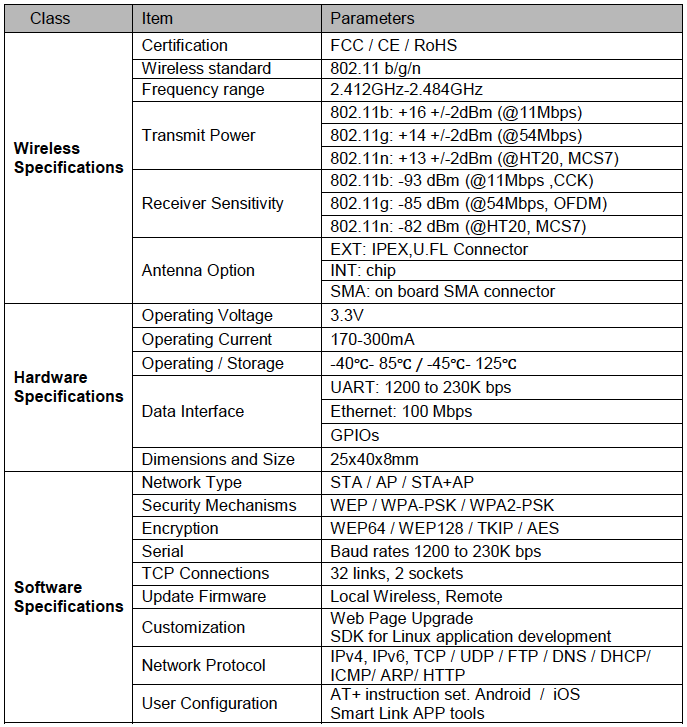 Applications include access points, routers, serial to Ethernet, serial to Wi-Fi, Ethernet to Wi-Fi bridging and many others. The A11 integrates all Wi-Fi functionality into a low-profile SMT or DIP module package that can be easily mounted on a printed circuit board. The different A11 modules connect to antennas using the local chip antenna (INT), external antennas through the standard IPEX/U.FL connector, or directly through the on-board SMA connectors.